Our forefathers constantly showed interest and devotion during the pious days commemorating the passion, death and resurrection of Jesus Christ. A characteristic feature of Holy Week in Malta is undoubtedly the processions held in Maltese and Gozitan parishes. The majority of the statues carried shoulder-high in these processions are manufactured from papier-mâché. There are some that are sculptured from wood. Although some are foreign imports, mainly from Italy, most have come from the capable hands of Maltese sculptors and statuarians. A cursory look at the anatomical lines of statues such as the Crucifixion and the Scourging at the Pillar is enough to reveal the extent of the respective sculptor’s studies of the human anatomy. Furthermore, some statues reveal the highest level ever attained in the art of papier-mâché manufactured figures, a comment applicable also to representations sculptured in wood. It is impossible to write about Maltese statue makers and not mention Carlo Darmanin. This not only because of the enormous number of statues he produced, but also because of his innovations in the iconography of Good Friday processional statues. Carlozzo, as he was affectionately known, was born in Senglea on August 30, 1825, to Giuseppe and Mary née Cumbo. Together with his brothers, he was trained in art by their father, a marbler by trade. The Darmanin family had a company named Giuseppe Darmanin e Figli that would take on marble work commissions for churches and for the British government. Their works consisted mainly of tabletops, commemorative plaques, altars, statues, fonts, columns and gravestones. Carlo soon began specialising in papier-mâché. There are various accounts of how this interest began. Some say it was on the suggestion of his cousin, Giovanni, while others attribute it to the fact that an Italian marbler opened shop in Malta and became a strong competitor to the Darmanin family. This resulted in Carlo focusing on papier-mâché works to become the best known local statuarian in the second half of the 19th century. 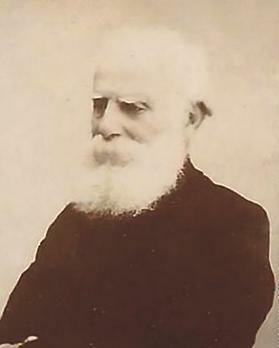 In 1848, Carlo married Annette Ready, born in Għaxaq to Scottish parents. The Darmanin family later moved to Ħamrun where Carlo’s workshop was situated. They had a very large family, comprising 10 boys and six girls, as was the custom in those days. Everyone used to be amazed at the beautiful faces Darmanin would sculpt, especially the faces of Our Lady, of angels, and of women in the Old Testament. He would use his wife and children as models for his statues. In addition, he would also use special moulds which could have been imported from Italy, where his father had good connections due to his marble company. He would work papier-mâché in the traditional Maltese way, with some unique characteristics. His statues were usually made in a purist style with a hint of romanticism. Importance was given mostly to the devotional aspect of the figure. Apart from pretty-looking faces, most of his statues bore life-like expressions and good postures. He knew extremely well how to treat clothing for his figures. Darmanin not only produced a vast number of angels and several statues for village street feast decorations, but also five titular statues for parish churches, three of which are still venerated and used in processions today. These are the statue of Christ the Saviour (with Elijah and Moses during the Transfiguration), for the parish church of Lija (made in 1864), St Cajetan, for the parish church of Ħamrun (made in 1885) and St Julian, for St Julian’s parish church (made in 1893). Together with these, Darmanin worked the statue of St Leonard (1877) for Kirkop, which in 1949 was changed with another one, sculptured in wood in Italy, and St Margaret (c. 1863) for Sannat, which was also replaced by another one made by the French firm Gallard et Fils Statuaries in 1891. Darmanin’s name, however, is mainly connected with the several inspiring Good Friday processional statues he made. Although he never had the fortune to work the traditional full set of eight statues for any particular parish or church, it can be said that, in one way or another, he managed to manufacture all the passion statues. Furthermore, it was he who introduced innovative ideas and figures. 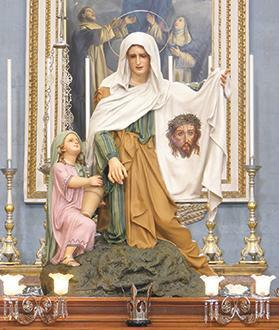 The first statue was that representing Our Lady of Sorrows for the Għaxaq parish church. This was in 1851. Later on, in 1901, he replaced it with another statue that Darmanin himself donated to the parish. In fact, on its base, one reads Carlo Darmanin fecit et donavit 1901. For Mosta’s parish church he almost did the entire set, seven out of a set of nine Good Friday statues. 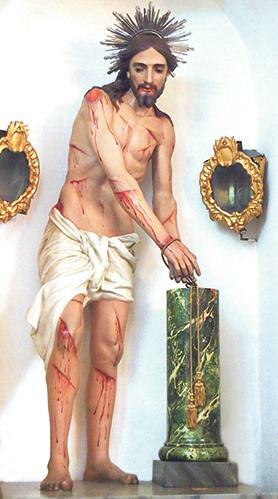 In 1866 he made the statue of the Agony in the Garden and the Scourging at the Pillar. Three years later, he worked the statue of the Redeemer and the Crucifixion while in 1895 he made Ecce Homo and Veronica. The most important statue of all these is that of Veronica. Here the artist, basing his inspiration on the revelations of the German mystic Blessed Catherine Emmerich, presented a newer version of Veronica with the inclusion of an effigy of a young girl holding a pitcher besides that of the traditional image. There seems to be a detachment between this girl and Veronica. This separation conveyed by Darmanin in this artistic representation, creates two figures shorn of any intimate closeness. At the same time, there is closeness and intimacy in their emotions as they come face to face with the suffering man. This innovation was introduced in other sets, such as those in Nadur (1914), Paola (1972) and Għargħur (1993). Carlo Darmanin’s image taken from the memorial card distributed after his death in 1909. In Cospicua one finds three statues made by Darmanin. In 1876, he made the effigies of Our Lady, St John and Mary Magdalene for the tableau of the Crucifixion and the statue of Our Lady of Sorrows. In 1878 he manufactured the Agony in the Garden. This statue, representing Jesus’s anguish in Gethsemane, is considered to be a masterpiece. 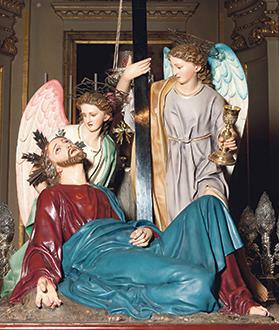 Here, Darmanin shows the actual time when Jesus was lying on the ground – a position different from other statues of the same episode – being consoled by an angel, while another angel is presenting the chalice and the cross. It was the first statue in which Darmanin inserted two angels, an entirely new idea for the time. Darmanin’s typical bravery is mainly noted in the balance of its composition, in the drapery of the figures as well as in the anatomical features in Jesus’ hands. Darmanin repeated this novelty of his, when, in 1880s, he came to manufacture a statue showing the same event for Qormi’s parish church. For this same parish, he also produced the statues of Our Lady and St John for the tableau of the Crucifixion and, in 1889, he did Veronica. Particular attention in the Qormi set is due to the statue of the Betrayal, made by Darmanin in 1903. This was another innovation for the Good Friday processional statues. 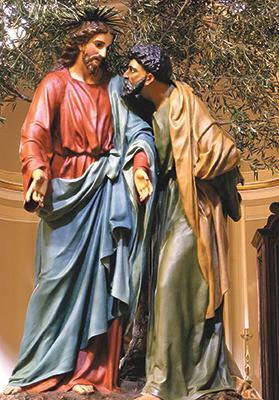 This statue, showing Judas betraying Jesus by kissing him, remained unique until 1961 when the Żejtun parish brought, from Lecce, Italy, a similar statue. This example was followed by Mosta (1963) and Xagħra (1964), among other parishes. 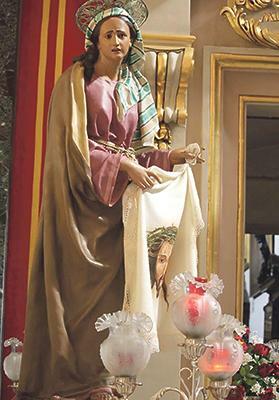 For the parish church of Senglea, his home town, Darmanin worked the Scourging at the Pillar, which is rather small in size but at the same time shows Darmanin’s great capabilities in treating papier-mâché; Veronica, in which the pitiful face of such a good woman is very alluding; and Our Lady and Mary Magdalene for the tableau of the Crucifixion. Darmanin’s statue of the Scourging at the Pillar for Senglea parish. When he made these statues of the Crucifixion, Darmanin also set them in their present position. The expressions on the faces and the manner in which they are placed underneath the Crucified, make them seem very real and complement each other. These were all made towards the beginning of the 20th century. At this point, it is worth noting that during this period of time Darmanin carried out extensive restoration works on Senglea’s revered statue of Jesus the Redeemer. Here, he modified the position of the statue, creating a cork support that looks like stone under the right elbow, and resurfaced the whole tunic. Other Good Friday processional statues made by Darmanin include the Scourging at the Pillar for Għargħur (1868), the four angels for the Entombment for Luqa (1884) and Valletta (1868). He also made the statue of Christ Carrying the Cross for Valletta (1894) and for Żejtun (c. 1880), and Veronica (1880), the Crucifixion (1880) and Our Lady of Sorrows (1863) for Rabat, Malta. In November 26, 1909, this brilliant and artistic career came to an end with the demise of Darmanin. This sculptor contributed greatly to the development of popular religious art, and through him the art of papier-mâché took on a new appreciation in Malta. He ought to be known as the pioneer for the first-known changes in the iconography of Good Friday statues. He was the first statuary to produce an Agony in the Garden with two angels instead of the customary single one; a representation of Veronica in which the protagonist is not alone; and above all, he is notable for producing a completely new scene with his depiction of the Betrayal. Nicknamed ‘the prince of Maltese statuaries’ by Nikola Zammit of Siġġiewi, he allowed religious inspirations to form the backbone of his numerous artistic works.